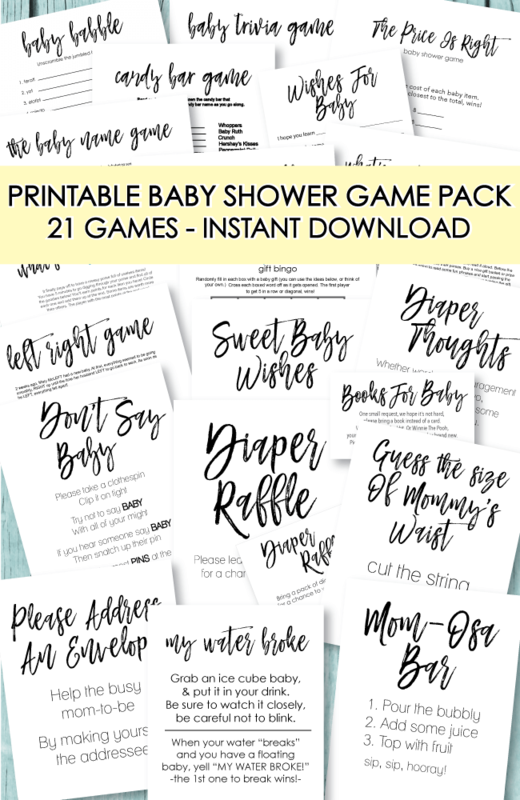 Airplane Baby Shower Theme Ideas and Decorations with FREE airplane printables! 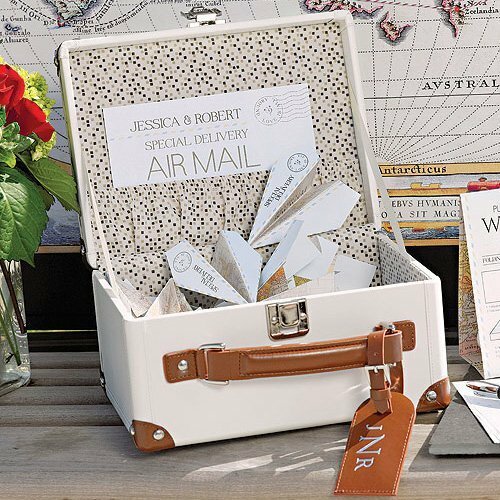 You are about to be armed with the cutest ideas for hosting an amazing airplane baby shower! It will have guests flyin' high with excitement! 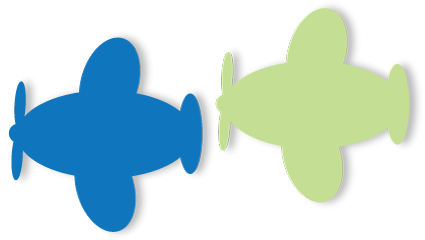 We have been dreaming up tons of creative ideas that are all about planes! 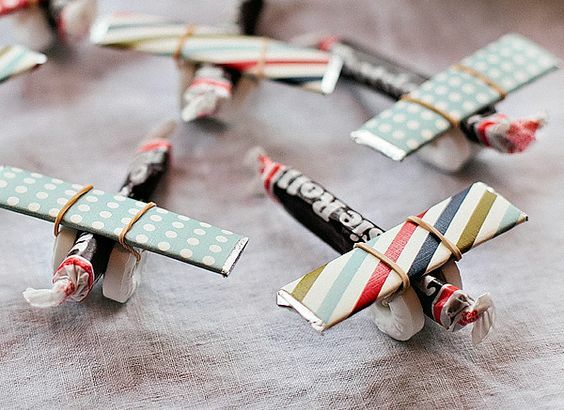 There are tons of darling possibilities when it comes to an airplane baby shower theme! 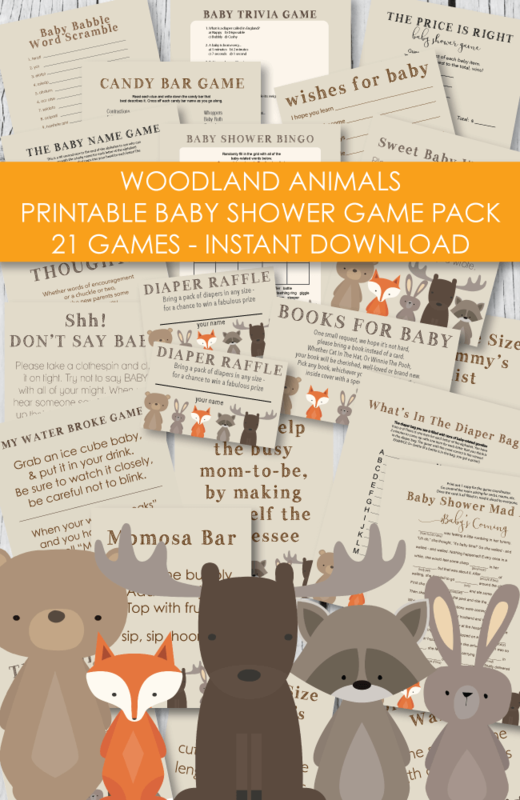 We designed these free printable airplanes just for you! 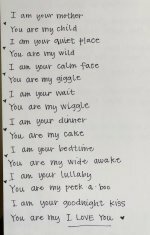 Simply click on the picture to open and print. 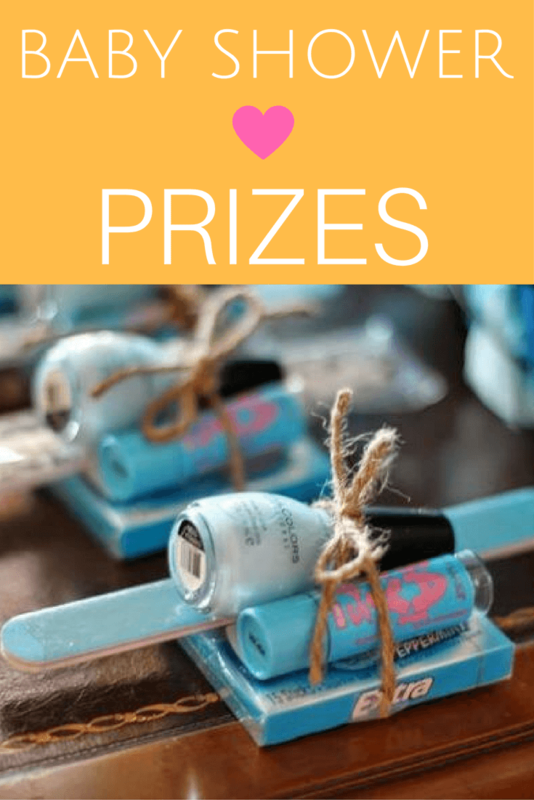 They come in blue and green and will transform the baby shower into an aviator's dream! 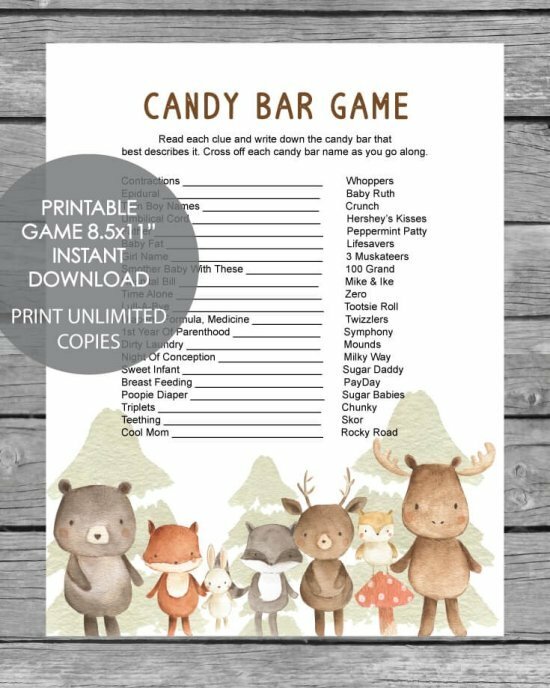 There are so many fun uses for this printable airplane clipart! 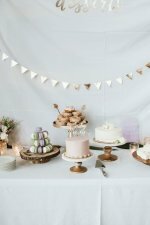 • Attach clear fishing line and hang from the ceiling over the main food or present table. 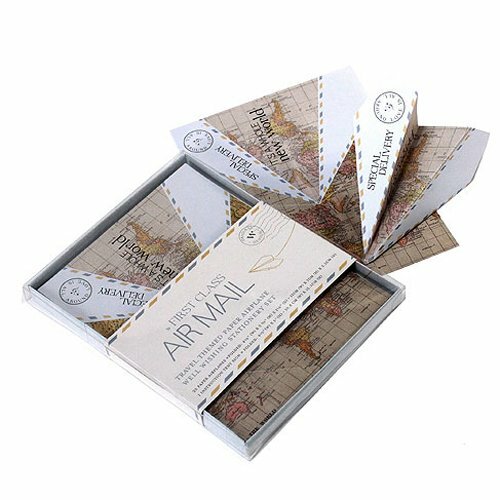 Have guests write down their best wishes and advice to the baby and new mom on these cute paper airplanes - and place them in the suitcase. So adorable! You can grab them here. 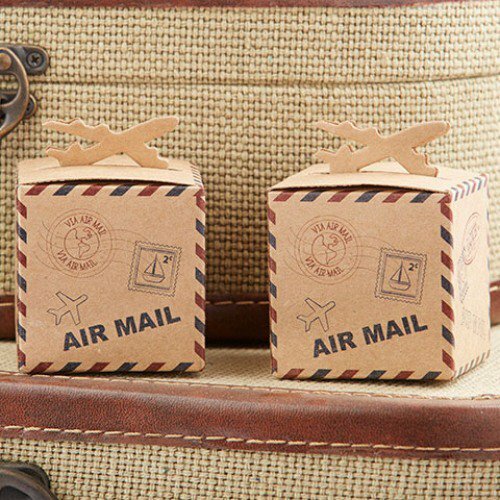 You can find these vintage airplane favor boxes and supplies here. 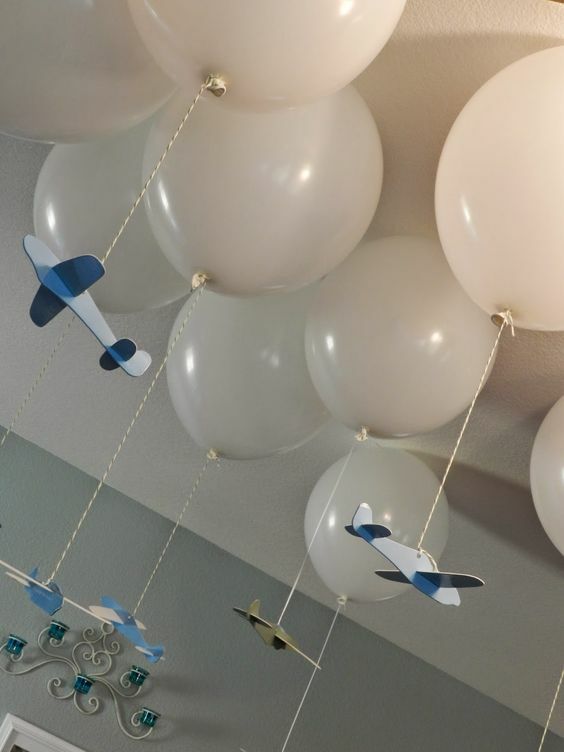 For some cute airplane baby shower decorations, fill several white balloons up with helium, to make a clouds. Then hang lightweight paper or foam airplanes from each cloud. 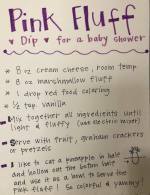 For yummy airplane baby shower food ideas: make a batch of cut-out sugar cookies and cut with cute airplane cookie cutters. You can also use the cookie cutters to cut out sandwiches, fruits and cheeses. 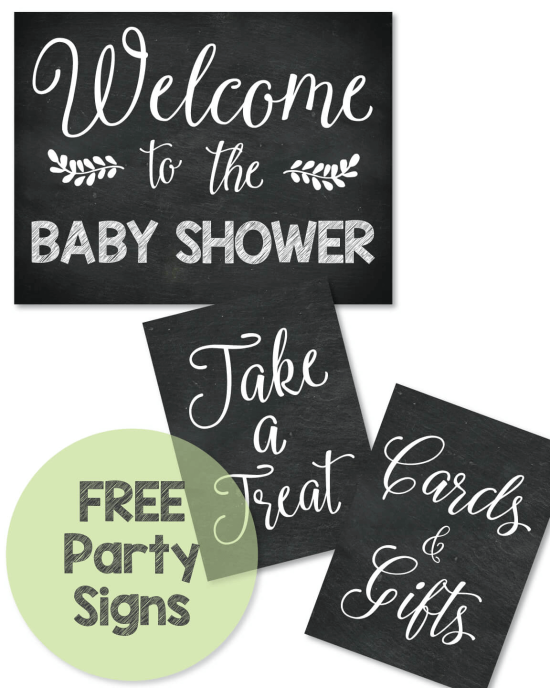 Check out our "Precious Cargo" baby shower theme for cute airplane baby shower cake pops, snacks, and airplane party banners and supplies! 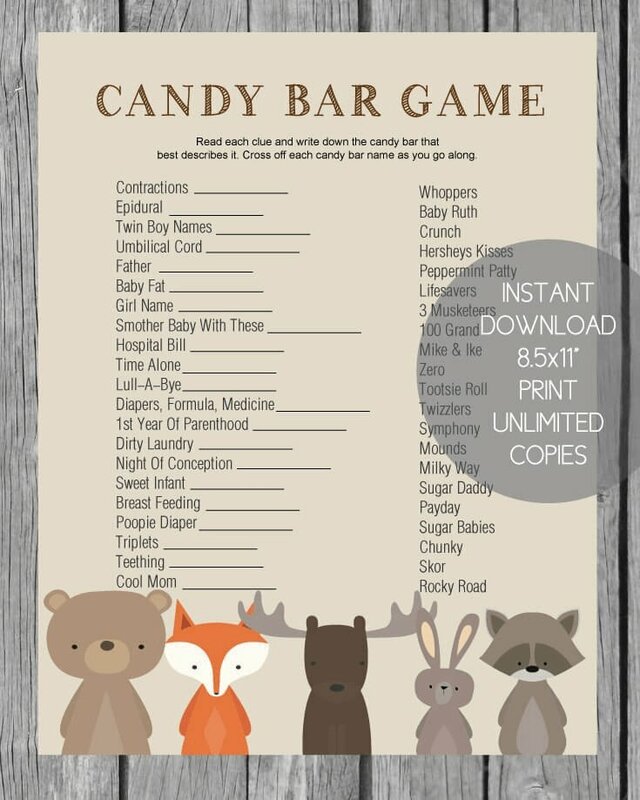 add a Tootsie Roll to the center of each one - so cute! 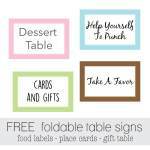 Cute ideas for airplane baby shower plates and napkins and other fun supplies!